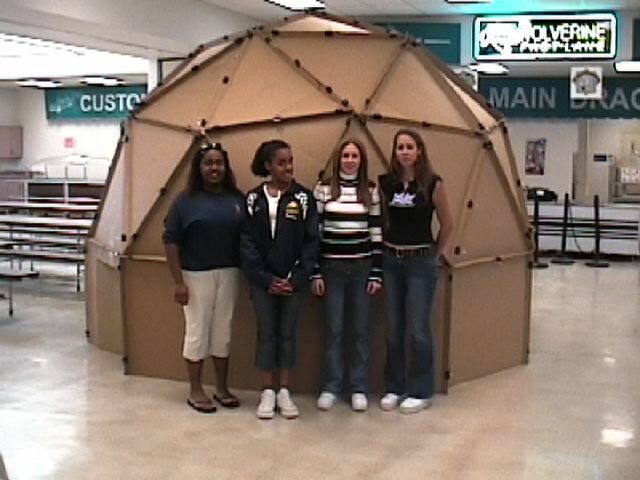 Jeff Adkins will be at NSTA Atlanta on Saturday, April 3 2004 to explain how to build a cardboard planetarium, share copies of the plans, and provide updates to the designs on this web site. Each of these* is a large file and will require a long time to download over a modem connection. You need a utility such as WinZIP or Stuffit Expander to decompress the files. The Keynote presentation will only run on a Mac using OS X 10.3 and Keynote 1.01 or later. Learn how to build a planetarium from readily available materials that's large enough to hold an entire class. Don't forget: we want to know about any domes you build. Send us pictures and we'll post them here on the site!